Our content is for life, not just today. We create compelling content on platforms that enhances the way people engage with what they love. That’s at the heart of what we do and what drives us as we shape our portfolio of special interest brands. 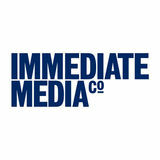 Immediate Media Co is an award-winning special interest content and platform company. We are one of the biggest consumer media businesses in the UK and the third largest magazine publisher. Quality is our No.1 objective. Every month we reach multi-million highly educated people and over one million active subscribers. People read our content across 50 websites, 60 magazines and over 70 brands.